Thanks for visiting Your Dad’s Blog! My name is Ryan Sitzman. 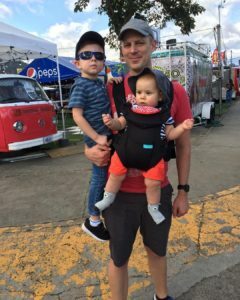 This blog is all about parenting, cooking, music, running, and travel. In other words, it’s like a mom blog, but written by a dad. Enjoy! If you want to support the site, you can shop at Amazon through this link. It doesn't cost you anything extra, and Amazon gives a small kickback to this site. You can also help out by using the links to Amazon products mentioned in posts or advertisements. Thanks! Copyright © 2019 Your Dad's Blog. All rights reserved. Amazon Affiliates Disclosure: Your Dad's Blog is a participant in the Amazon Services LLC Associates Program, an affiliate advertising program designed to provide a means for sites to earn advertising fees by advertising and linking to Amazon.com.